I’m pretty sure most of you have already seen this video somewhere! 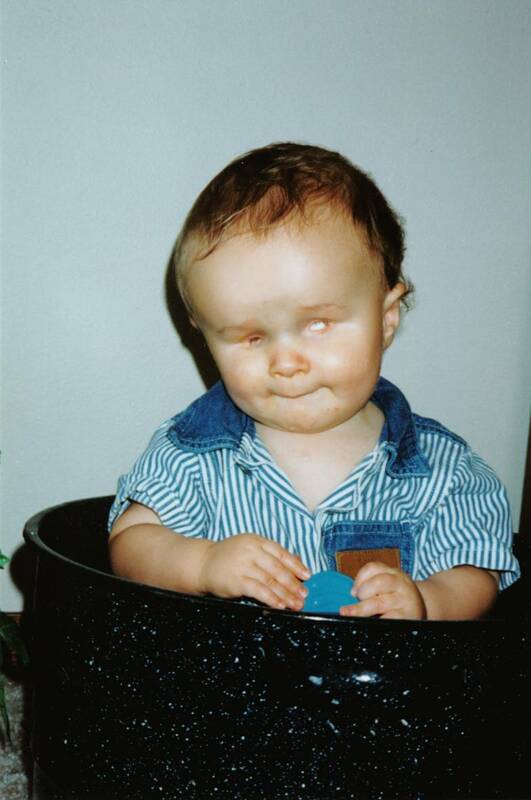 But I’m a sucker for boys born with no eyes and cleft palates – since I have one. That’s a pretty rare combination. Please pray for this young mom – she’s still very new to this life. I’ve included a picture of Paul below when he was a baby. Those were hard days. But they weren’t all bad, either. Hi John–Thanks for posting this. I was so moved by this young mom–the profound love she has for her son just radiates from her eyes. I will indeed pray for her–the journey is not easy but God is loving and gracious and will surely sustain her. Thanks also for the photo of Paul–he’s adorable! Every blog entry helps me to understand more. I re-blog/tweet/Facebook many of them for my people. Thank you John, God is making a difference through you in Indianapolis.